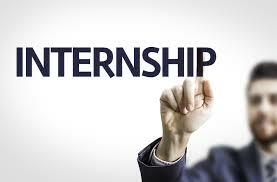 The internship is offered to the students, who have the medical background. The Biotechnology summer internship 2018 is provided to the talented and energetic candidates at Pakistan Biotechnology Information Center Lahore for 2018. The eligible candidates are encouraged to apply for the Biotechnology summer internship at Pakistan Biotechnology Information Center Lahore and they need to know about Pakistan Biotechnology Information Center Lahore. The students need to know the education, scientific research and training in the biotechnology, which are the essential components to increase the growth and development of Pakistan. The students should know that we need the resource based information centers, which can be able to support the development and efforts of the newly established Pakistan biotechnology denominator to link the areas together. The students, who have done their Biotechnology and food safety as the major, they can apply for Biotechnology summer internship program. The summer internship program needs the educational qualification of BSc, MSc and MPhil level. The monthly stipend of PKR 20,000 will be given to each student during the internship period. The training on the biotechnology is related to the content development for the awareness of the social media about bio-safety and the regulatory structure of the GMO’s in Pakistan. The production of articles for media about the issues that the agricultural biotechnology is confronting in Pakistan and the solutions can be provided to these issues. The candidates need to write a letter of interest with the bio-data and they need to mention why they should be selected for this paid internship.